Alloy 20 Spring Washer, Alloy 20 Hex Bolt, Carpenter 20 Spring Washer, Carpenter 20 Double Ended Stud, Carpenter 20 Heavy Hex Nut Exporter, Alloy 20 Socket Cap Screw, Carpenter 20 Lock Nuts, Alloy 20 Fasteners, Carpenter 20 Countersunk Slotted Screw, Alloy 20 Nylon Insert Nut Manufacturer in Mumbai, India. Carpenter 20 Hex Nuts, Incoloy® alloy 20 WERKSTOFF NR. 2.4660 Threaded Rod, Alloy 20 Mushroom Head Square Neck Bolts, Carpenter 20 Heavy Hex Bolt, DIN, ASTM, BS Bolts, Carpenter 20 Fasteners, 20Cb-3® UNS N08020 Stud Bolt, Incoloy® alloy 20 DIN 2.4660 Washer, Carpenter 20 UNS N08020 Nuts Supplier in Mumbai, India. Alloy 20 is known as carpenter 20 which is a nickel-molybdenum-chromium based stainless steel alloy that is designed for various applications with the sulfuric acid. This grade of the alloy is highly resistant to corrosion and offers the best performance. Well, on the other hand, if we talk about Alloy 20 Fasteners, these fasteners are known best for their high tensile strength, corrosion resistance, durability, workability and long functional life. There are various applications where these fasteners are used like the petrochemical industry, marine industry and many more. Well, if you are also thinking of buying these fasteners and searching for the best manufacturer then Jayesh Metal is the right choice for you. 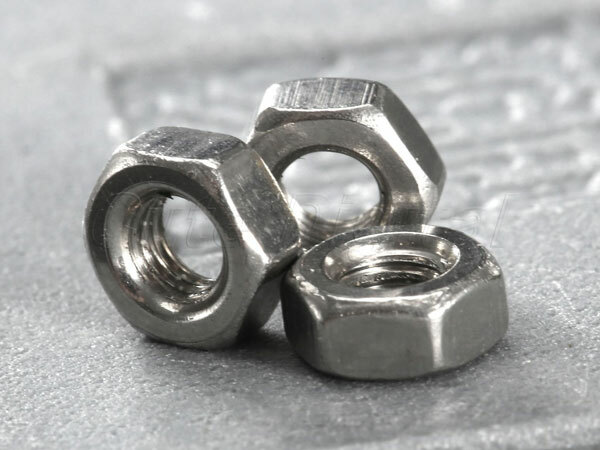 They are one of the reputed and leading manufacturers that provide their customers a wide range of fasteners in different shapes and sizes. These fasteners are manufactured using best grade of stainless steel alloy and other raw material that is well tested and inspected by quality experts and inspection agencies. These fasteners are further made into accurate size and length due to use of latest machines and equipment. These Alloy 20 Fasteners cover ASTM, DIN, BS and all other international standards and specifications. They even include ASTM B472 and ASME SB472 standards. These fasteners are manufactured using alloy 20 whose international name is UNS N08020. The size of these fasteners varies from M10 to M100 and length up to 5mm. furthermore, when these fasteners are ready for the delivery there are various tests done such as flaring test, flattening test, third-party inspection and more. In the end, they are delivered to their respective customers in best packaging material.